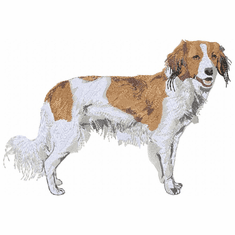 This little Spaniel type dog has distinctive feathering on its ears and tail, an active personality and a strong work ethic. 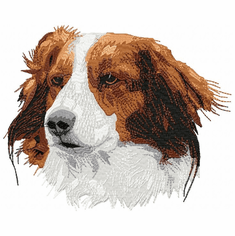 They are known as Kooikerhondje, Kooekerhond, Kooiker Dog, Kooiker Hound, and Small Dutch Waterfowl Dog. The Kooikerhundje resemble the Nova Scotia Duck Toller Dog and it is generally believed that the Toller is a descendant of them. Both breeds are know to �toll� or to entice game to approach, in this case with their feathery tail. These Decoy Dogs would then lure the ducks into a blind where a farmer would be able to capture them. 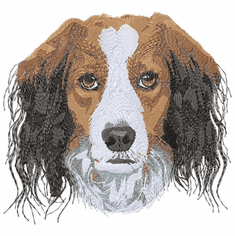 These Kooikerhundje designs are available for you on a wide variety of items including denim shirts, sweatshirts, t-shirts, polo shirts, tote bags, vests, personalized Christmas stockings, and even on the back of a sports chair so you can show off your breed!